In all likelihood, you already know about the 2017 Mercedes-Benz CLA Coupe’s performance features, which include two powerful engines and superb transmission, and you are probably aware that this vehicle also boasts the best in technology, design, and safety, too. But did you know that the CLA Coupe also comes outfitted with a raft of exciting new interior perks, which make the CLA Coupe one of the single most luxurious cars on the market this summer? Get the details by reading on, and then stop by our dealership to take the CLA Coupe for a test drive. Rarely does a single car boast such lavish luxury as the Mercedes-Benz CLA Coupe, which gives you all of the luxury and plush amenities you’ve come to know and love from the brand. You’ll adore the CLA Coupe’s massive 8-inches of display screen, which makes operating its many entertainment, information, and connectivity systems a piece of cake. Sit back and enjoy the ride in the CLA Coupe’s plush and luxuriously appointed cabin, which features front sport seats for the driver and memorably comfortable seating for passengers as well. Let the sunlight cascade into the cabin this summer through the CLA Coupe’s panorama sunroof, which is impressively large and easy to operate. Last but not least, the Coupe also boast a slew of state-of-the-art multimedia systems, including a 450-watt harmon/kardon® Logic 7®1 audio device, which promises crisp, clear sound and booming bass, as well as Apple CarPlay and Android Auto, which make it possible for you to stay in close touch with friends and family throughout the drive. Test Drive the CLA Coupe Today! Oh wait—one more all-important thing. 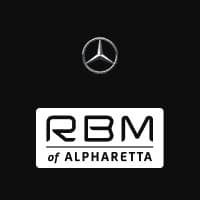 If you want to test drive the 2017 Mercedes-Benz CLA Coupe in order to make sure that this is the car for you, simply swing by our RBM of Alpharetta dealership today and we’ll get you out on the road. Get in touch with us by completing and sending us this easy-to-use online form, and we’ll be sure to respond ASAP. Then, we look forward to introducing you to the CLA Coupe at RBM of Alpharetta! 1 harman/kardon® and Logic 7® are registered marks of Harman International Industries, Incorporated.